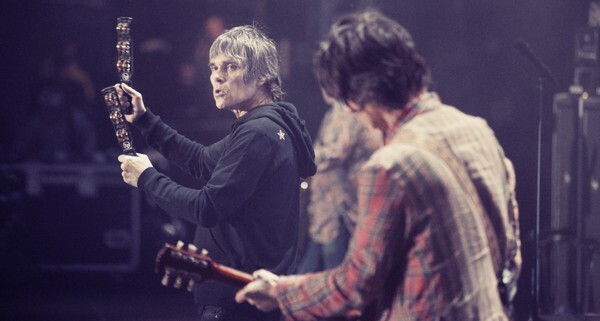 The Stone Roses: Made of Stone is a documentary about the English rock group called "The Stone Roses". After having some pretty big hits in the late-1980's and early-1990's (like "Fool's Gold", "I Wanna Be Adored", "I Am The Resurrection", and "Love Spreads") the band suffers from a nasty break-up. 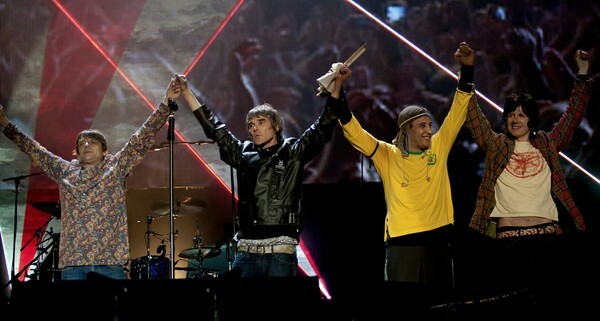 Now it's the year 2012 and The Stone Roses have announced that they will be reuniting to do a series of live shows all around the world. 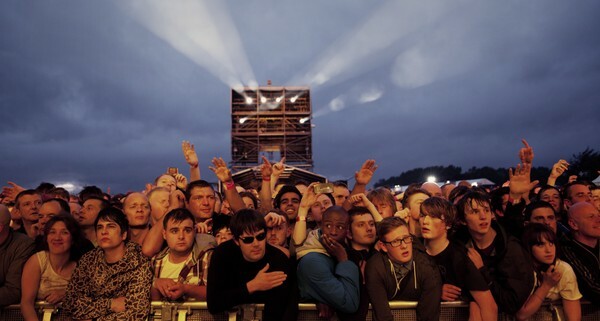 This documentary follows The Stone Roses on this tour. Will this tour be a successes or a complete flop? 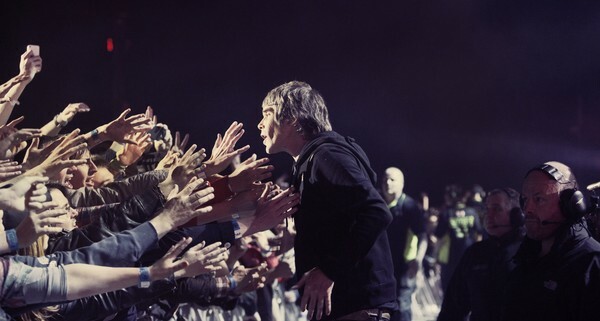 That's not all this documentary covers as we also get to know what the band was like in the past, what they are like in the present with the band rehearsing all their songs for the tour, what the band is like in the future when we get to see them on tour, and what it is like through the eyes of a fan of The Stone Roses where we see fans line up to get tickets for their show and some of their thoughts of some of the drama that happens on tour. It's sure to be a wild ride across the world with that little band from Manchester. (Click "Read More" to read the full review). The idea behind this film is quite a good one but it can easily be executed badly and sadly this is a case where this film wasn't executed to perfection and has a lot of problems. A major problem I had with this documentary was the mixing with the audio. I could hear all the background music and performances fine but when they get to the interview parts I could barely make out what they were saying due to how low the audio is. It got to a point where it was so low that any little noise that happened in the room overpowered it and this happened even when I turned up the television and in the end I had to turn on the subtitles. I also had a problem with how this feature was edited as it was really rough as if they cut up three smaller documentaries and mixed them all into one big one. I'd rather they had split all three topics (past, present, concert) into three consistent segments rather than all mixed in. It does however get less rough past the half-way point of the film. The content of the topics were also a little thin and I do wish that they went deeper in some parts of the film, especially when they are talking about the band's past. I did enjoy the musical parts like when they were rehearsing for their 2012 tour as it had a very nice homely feel to it that had me feeling quite relaxed. My favorite tune from this film has to be the live version of "Fool's Gold" that is played at the end of the film as it had a really groovy sound that got me jumping from out of my chair only to start dancing like a crazy stoned hippy from the 1960's (yeah man). 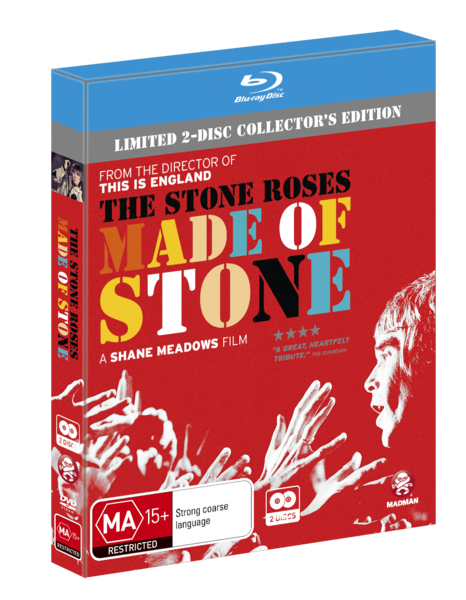 There is a whole second disc dedicated to special features including: Bonus musical performances, an interview with the director "Shane Meadows", footage of the film crew going to the rehearsal studio, B-roll footage of the band rehearsing, a special one hour documentary detailing the premiere of the film at Manchester, an alternate version of the opening scene which was filmed from a fan's mobile phone, and a short montage called "Stoned Love". You also have audio commentary over the film too which is located on the first disc. This set also comes with some very nice looking postcards that feature photos from some of their performances during their 2012 world tour. I wasn't really a fan of most of the special features in this set but the postcards are very awesome. Overall this movie could've been way better but the editing and audio mixing is the reason why I can't recommend this film. They should've made this into a live concert disc instead. Not recommended.